Self Portrait-Permanent Ink on CD-30x30 cm. Freddie Mercury-Ecoline on Paper-21x29,7 cm. Fate-Mixed Media on Paper-21x29,7 cm. The Power of Art-3D-30x30 cm. The world and Africa-Mixed Media on Paper-21x29,7 cm. Nasreddin Hodja and his jokes-Acrylic on Paper-21x29,7 cm. Ecology-Mixed Media on Paper-21x29,7 cm. No War-Mixed Media on Paper-21x29,7 cm. Problematic God-Acrylic on Paper-21x29,7 cm. Nuclear Man-Mixed Media on Paper-42x29,7 cm. Landscape-Mixed Media on Paper-21x29,7 cm. Eve and Fashion-Acrylic on Paper-21x29,7 cm. Time in Izmir- Acrylic on Paper-21x29,7 cm. Venus and Fashion-Acrylic on Paper-21x29,7 cm. Memory-Mixed Media on Paper-21x29,7 cm. Dam Lake and Archeology-Acrylic on Paper-42x29,7 cm. Istanbul and Icarus-Acrylic on Paper-42x21,7 cm. 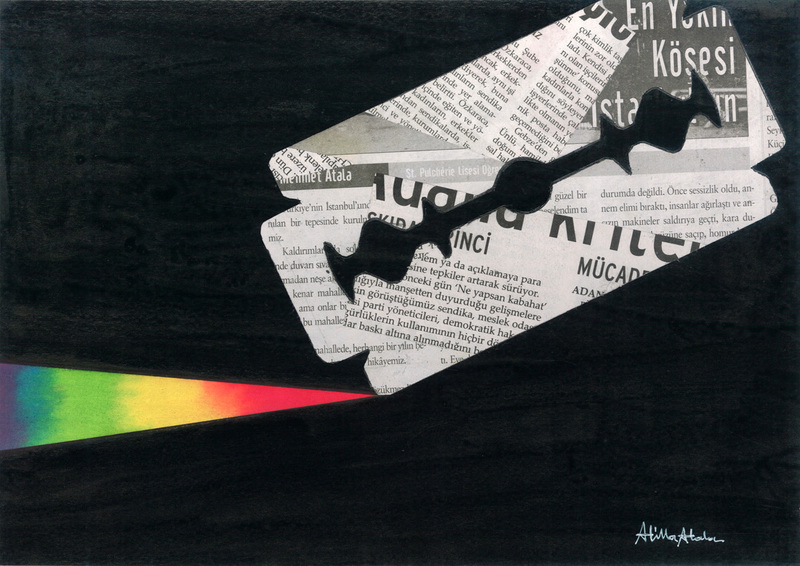 Istanbul!-Mixed Media on Paper-42x29,7 cm. Hunger-Mixed Media on Paper-21x29,7 cm. Portrait of Charles Bukowski-Ink on Paper-21x29,7 cm. Car-Mixed Media on Paper-21x29,7 cm. Cow Leather-Mixed Media on Paper-21x29,7 cm. Portrait of Gabriel García Márquez-Ink on Paper-21x29,7 cm.